Modern, elegant appearance and easy to hide when not in use: The roller blind is as brilliant as it is simple. 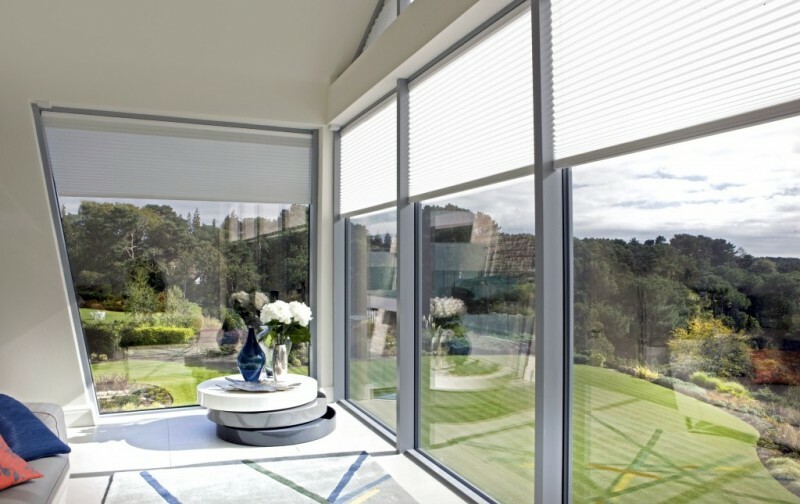 It can be used to gently filter sunlight, provide privacy, reduce glare, protect floors and furniture from the sun(UV fading), or block out all light in a media room or bedroom. 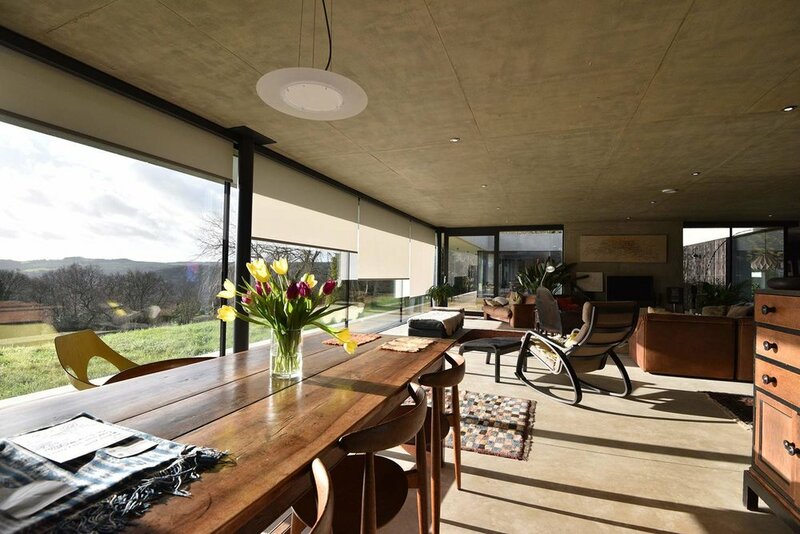 Roller blinds from Grants can be operated with chain, spring and motorised. Motorised roller blinds are quickly gaining in popularity with rechargeable battery powered blinds being a retro-fit solution. 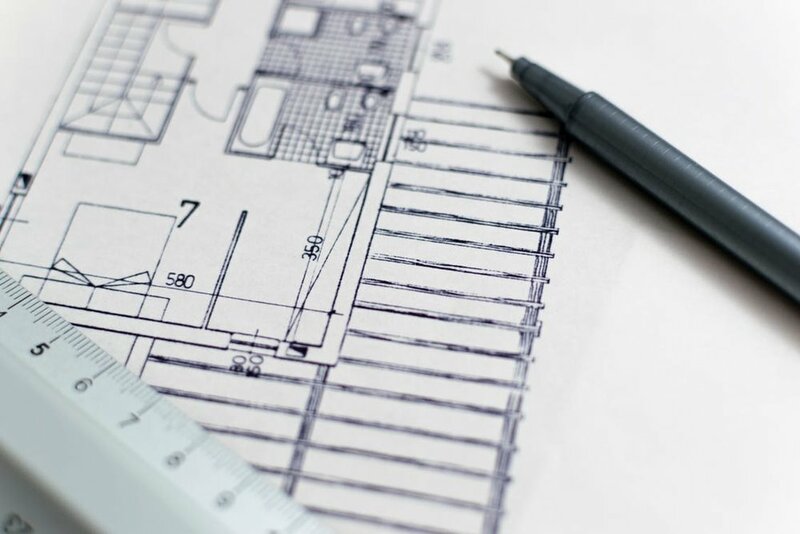 For new build homes you can future-proof homes using our Blindspace® boxes that are built in during construction and prepared with electrical wiring, for future option to install concealed motorised roller blinds. 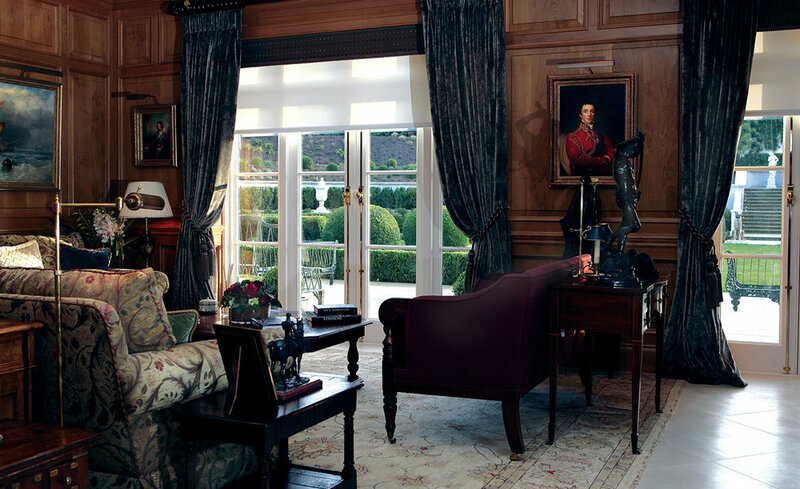 Roller blinds can be installed within the recess or outside recess above the window. 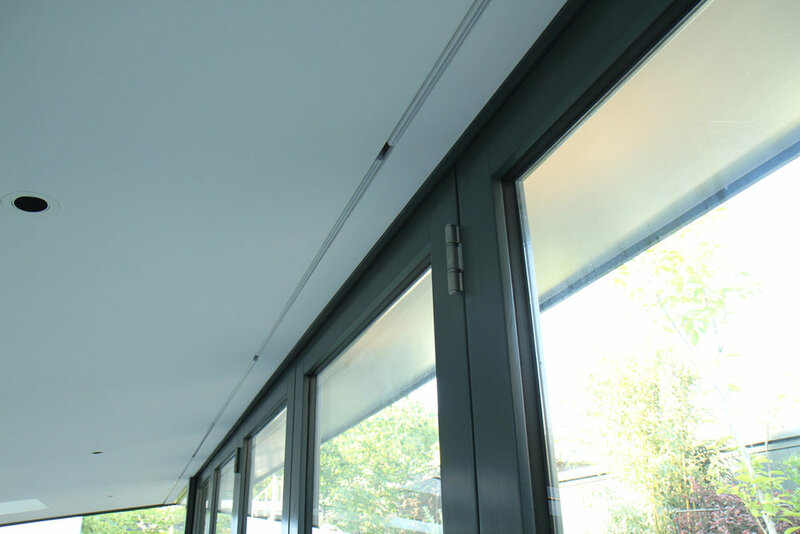 With the addition of side guide wires or tracks - roller blinds can be used in angled windows or mounted for bottom-up style. 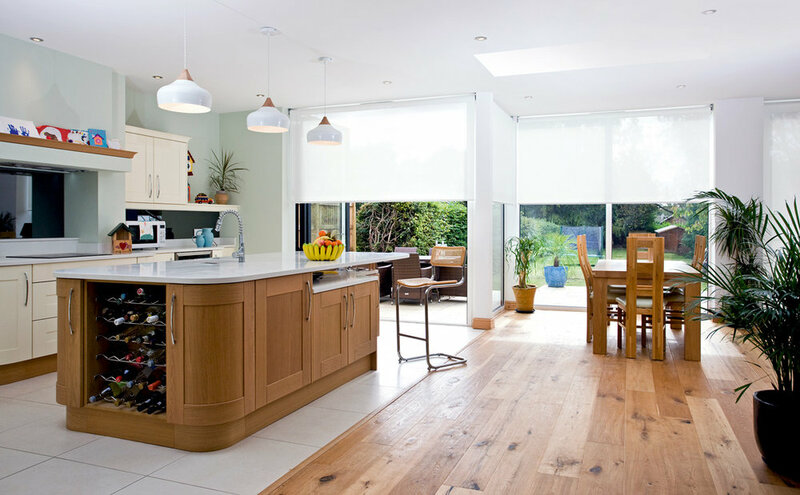 Roller blinds can be installed with the fabric close to the glass or reverse rolled leaving space between the blind and the window.